Choose from 100km, 50km, or 25km trek distances on this stunning walking challenge. Fundraise for our vital leukaemia research, and test your endurance to the max in London this summer with the Thames Path Challenge. You can sign up for a solo trek or gather your friends and tackle this as a team for our charity. The scenic routes are steeped in history, following the winding Thames at your own pace: walk, jog or run, and choose the distance that suits you! The full route begins at Bishop's Park, next to Putney Bridge, and on through leafy Kew and Richmond, past the last non-tidal lock at Teddington. It passes the royal palace of Hampton Court, beneath Windsor Castle and on through beautiful countryside to Henley. Join the 'Main Thames Path Challenge' – 100km from Putney Bridge to Henley or on either 50km Half Challenge, or a 25km Quarter section. Most will walk at their own pace, some will jog, and quite a few will run the whole course! Every day 27 people are diagnosed with leukaemia: that’s more than one every hour. Our vital work aims to translate research findings into new treatments as quickly as possible, so patients can live better, longer lives. 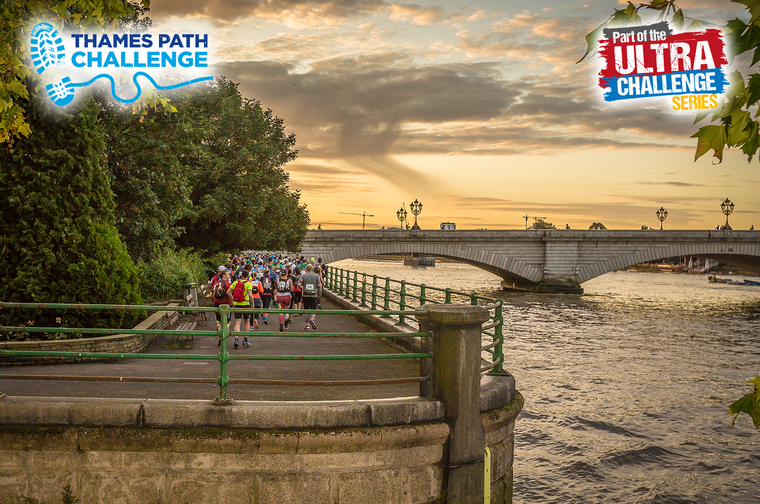 The Thames Path Challenge is run by Ultra Challenge, with whom Leuka is a Listed Charity. They run the UK's best endurance challenges, with over £15 million raised for charities through the series. Over 18,000 people will take on a challenge for charity with them in 2019 – will you be one of them? To book your place on the Thames Path Challenge trek, click the purple button below and fill in the form. When you have done so, our team will be in touch to get you set up for a brilliant day! If you have questions about the trek, you can also contact our Fundraising Team who will be happy to answer them, and help you book this fantastic challenge. Call us on 020 7299 0722 or email Simona on simona.abis@leuka.org.uk. Sign me up for the Thames Path Challenge!